MORE CHOCOLATE, PLEASE! Yummy chocolate scented eyeshadow, that is! 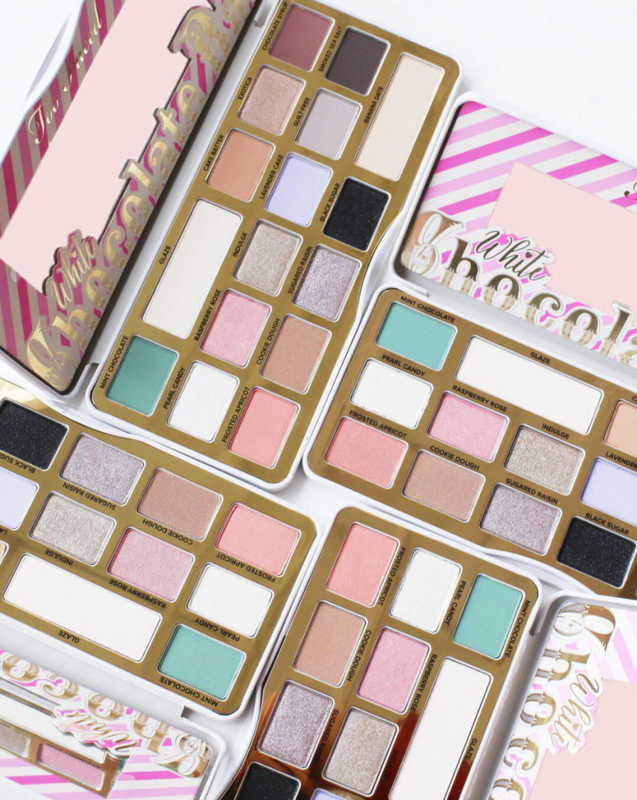 Too Faced is releasing their NEW White Chocolate Bar Palette on Thursday, 11.23! 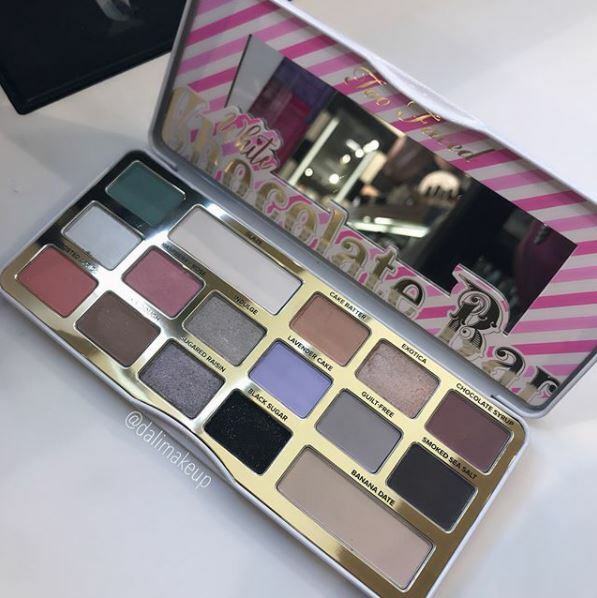 The palette will be available both at Sephora and on the Too Faced website. 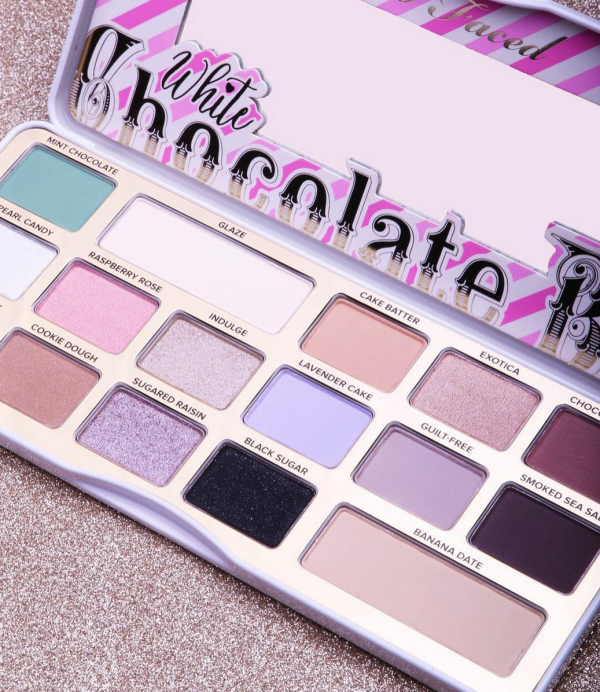 The palette will be $45 and, of course, will smell like chocolate! Well, white chocolate (which I’m thinking smells like, basically the same as regular chocolate?) The 16 shades in the palette are, per usual, cocoa powder-infused and feature both matte & shimmer shades. If you are Sephora VIB or Rouge, you can actually grab this TODAY! As for the palette itself – we are a bit torn. Has the “chocolate bar” train ran it course yet?? After this, we are anticipating the Chocolate Gold Bar Palette. Sooooooo we will soon have like, what? Six chocolate bar palettes?? It’s starting to seem as though they’re running out of ideas. The color selection here just seems slightly incohesive – GORGEOUS! But it just doesn’t seem to make much sense. That green is just lovely as is that burgundy and the shimmers but I’m having a hard time thinking of more than 1 or 2 looks that make sense. Maybe that is great, though, right?! It can challenge us and inspire us… maybe? It could also just confuse, too. Plus, there are only like 2 deep shades here so you are basically forced to maintain a pretty light, everyday look if you don’t want to incorporate another palette. Also, why are the two largest pan shades almost identical every single time?! Can we not use that space more wisely? ?